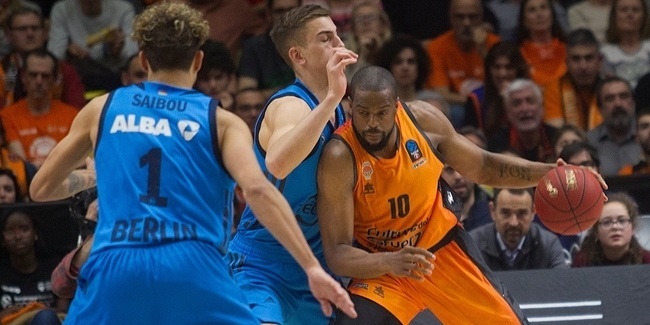 The 7DAYS EuroCup regular season crossed the midway point this week to see the last undefeated team fall, but also a few of them also advancing to the Top 16. One of the teams that punched its ticket to the next phase was newcomer Lietkabelis Panevezys led by Gintaras Leonavicius and his performance index rating of 31, which earned him weekly MVP honors for Round 6. Leonavicius scored 19 almost perfect points (3 of 4 twos, 3 of 3 threes and 4 of 4 free throws) and pulled 9 rebounds for respective career highs, while he also had 1 steal and drew 5 fouls off the bench against MZT Skopje Aerodrom for a great all-around performance. Second in line this week was Montakit Fuenlabrada's Ivan Paunic and Lietuvos Rytas Vilnius' Arturas Gudaitis with a performance index rating of 30 apiece. Paunic had personal records with 23 points and 7 assists plus 6 rebounds, while Gudaitis had 12 points, 15 boards (a career-high for him) and 3 assists. 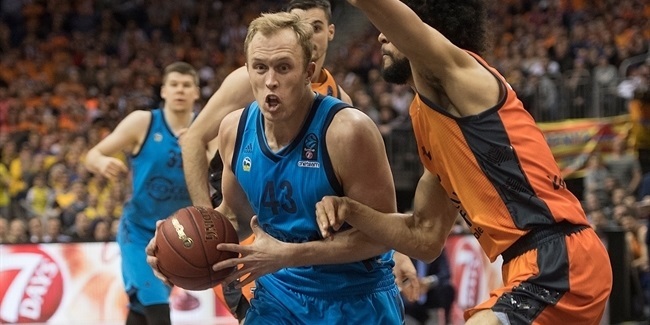 EJ Rowland of Khimki Moscow Region and Vitor Faverani of UCAM Murcia completed this week's best individual performances with respective 25 performance index ratings. Two players topped the scoring rankings this week with 23 points apiece: Paunic and Buducnost VOLI Podgorica's Marcus Williams. Unsuprisingly, Gudaitis' 15 rebounds were also the best mark of the week, followed by Kevin Jones of Lokomotiv Kuban Krasnodar with 11. In the assists department, Albert Oliver of Herbalife Gran Canaria Las Palmas and Stefan Markovic of Zenit St Petersburg led their teams with 10 decisive passes each, as the latter still leads the season overall rankings averaging 11.0 assists per game. 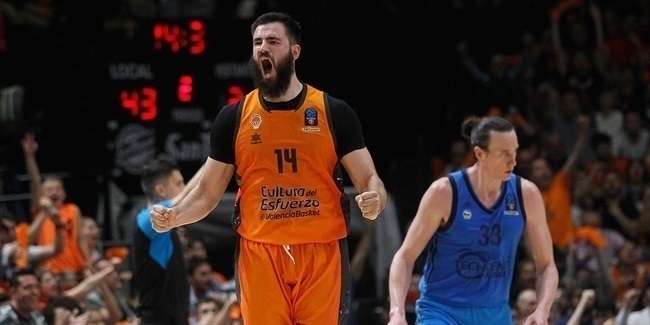 Mirza Begic of Cedevita Zagreb stopped as many as 5 plays of the opponents to top the Blocks rankings this week, while several players managed to have 4 steals this week.